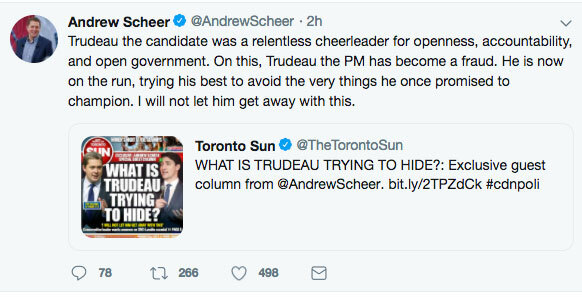 Andrew Scheer, federal Conservative Party leader, has written an open letter to Justin Trudeau demanding the Prime Minister show “openness” and “transparency” in the rapidly developing SNC-Lavalin/Liberal government scandal. 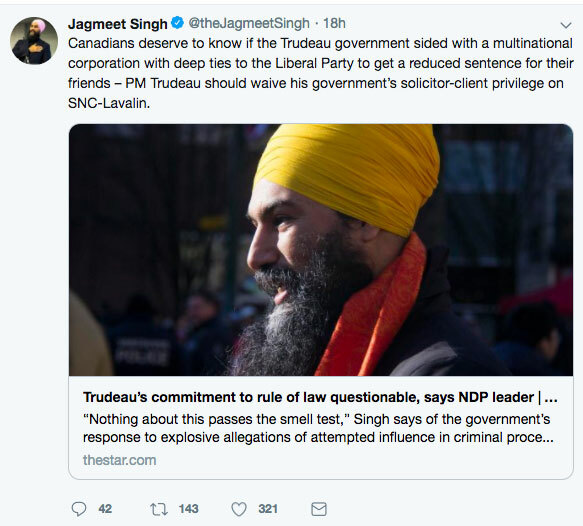 Instead of facing a costly and publicly embarrassing court case, SNC-Lavalin lobbied the Liberal government to a deferred prosecution or remediation agreement, in which it would pay fines but not be banned from bidding on federal government contracts. 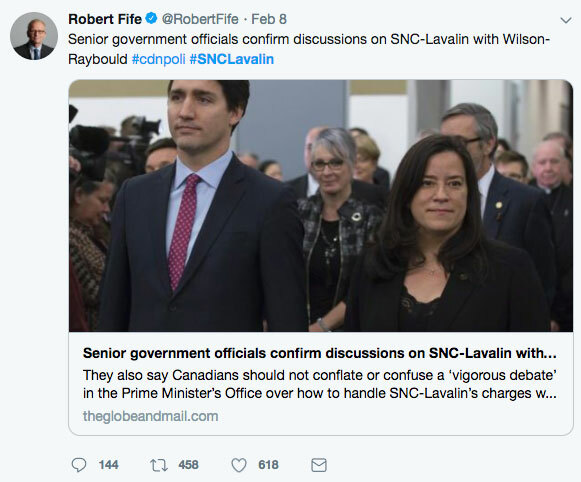 The Globe and Mail reported last week that the Prime Minister’s Office pressured Jody Wilson-Raybould, then the Minister of Justice Attorney General, to intervene on behalf of SNC-Lavalin, which happens to be a major contributor to the Liberal Party. When Wilson-Raybould refused, the Globe report suggests that Trudeau shuffled her out of Attorney General’s office and into Veteran’s Affairs, a much less desirable posting. Trudeau called the allegations made in the Globe report “false,” adding that, “Neither the current nor the previous attorney general was ever directed by me, or by anyone in my office, to take a decision in this matter.” Instead of instructing Wilson-Raybould how to act toward SNC-Lavalin, the government insists it was only informing her. 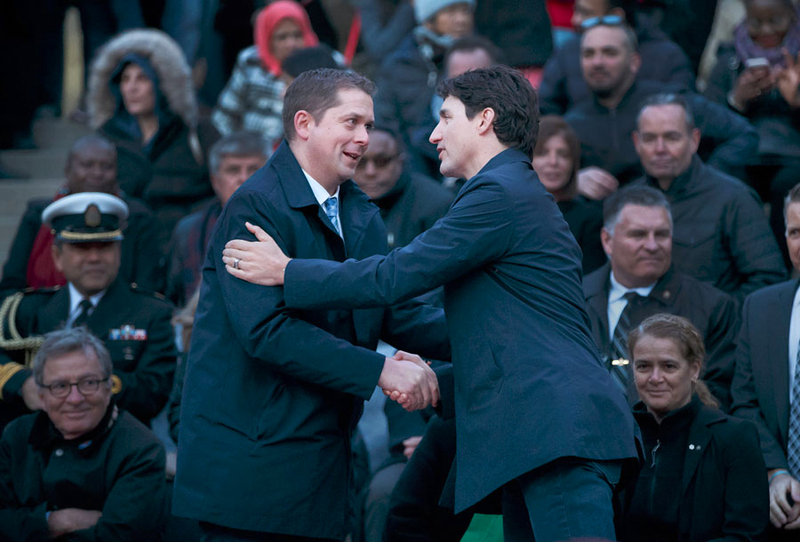 The whole SNC-Lavalin affair is suspicious, says Scheer. Besides having deep ties with the Liberal party, the government doesn’t want a huge Quebec employer to go bankrupt and lay off thousands of workers, especially in an election year, suggests the National Post’s John Ivison.